This township is of regulation size, a square of six miles each side, and is on the northern tier of townships, with Whitehall and Montague on the west, Holton on the east, and Dalton on the south, with Otto on the north in Oceana County. It is range 16 west, and township 12 north, and is named from a good-sized lake- Blue Lake- about a mile and a half long. The whole township drains into the White River, which crosses the northwest corner, and it is full of little lakes, among which may be noticed Little Black Lake in the south. 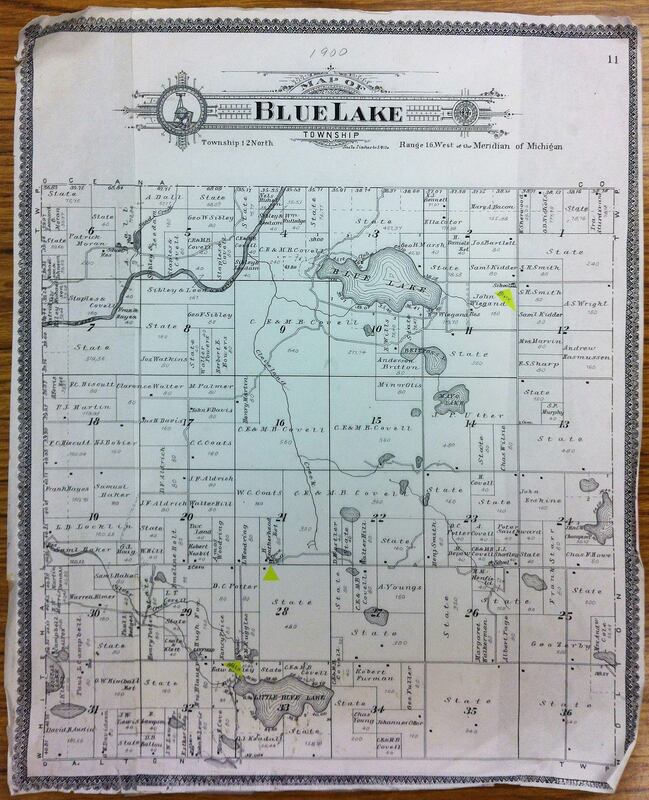 Indeed the town of Blue Lake with the north of Dalton, and the southeast of Holton is all a lake country, which a quarter of a century ago obtained the name of the Thousand Lakes. The most of the township is sandy loam, and will be good for the raising of fruit, the only objection will be the want of facilities for shipping as compared with those on the lake shores. The first supervisor was Austin P. Ware, born in 1818 in New York State, and a settler since 1864, settling on Sections 20 and 29. He held the Supervisorship from the time the town was organized in 1865 to 1869, when Jas. P. Utter held it one year, then the late Alden J. Nash, then Ware again, then Utter for four years, then N. R. Dryer one year, then Franklin Scott two terms, then Francis Hiscutt since 1879. P. J. Martin is Clerk. The elections are held on the first Monday in April, and there is no debt, and they have never borrowed. There are no churches or villages in the town, the preaching being done in school houses; the first preaching was in District school No. 2, by a Baptist Rev. George Irving. The first white child was probably Hattie, daughter of Alfred Tyndall, born in 1864, although some claim that Edward, son of Jas. Doherty, now of North Muskegon, was born a year or two before. Messrs. Hayes, Doherty and Brown worked for Daltons and were among the first settlers. The northeast corner seems to have been settled first. About 1862, on the Weigant place, came in a Mr. Andrews from near Grand Rapids, and remained until 1867. 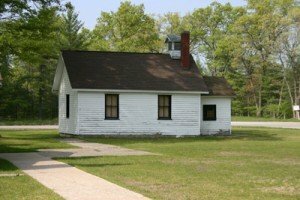 One of the first schools was that known as Block School. Lars Jensen and the Andersens, Danes, came in 1863 to the southwest corner; B. F. Aldrich in the fall of 1863, and in the following spring A. P. Ware, his brother-in-law. C. H. Chatfield, Dr. Kingsley, now removed, came in 1864; J. M. Crawford, A. Tyndall, M. D. Drake, and Mr. Warren are old settlers. Many settlers easily obtained land under homestead and other laws, but knowing nothing of farming, after using up all the pine, and the ties, they sold out for a small price or abandoned their claims, and some have been tied and relinquished three times. Since lumbering has been dying out, the population is not increasing, but those who have devoted themselves to farming are doing fairly. The pine is sound mostly rough and knotty. Between Silver Creek and Cleveland Creek is perhaps the finest land. Cleveland Creek is a fine stream, a south branch of White River and traverses the centre of the town; running chiefly north with an inclination to the west. Silver Creek runs across Whitehall and strikes White River four miles from its mouth, at Dalton’s old water mill. The first settlers were chiefly lumbermen, but those who turned their attention to farming have done best. The township has never been much run over by fires. The taxes are low; for instance, one farm of 320 acres, improved, is valued at $400, and pays $16 to $18 a year. Land can be bought cheaply lately, a few transactions show what the cash value is: the Doherty place, 30 acres, cleared, 160 acres in all, bought for $600; the Kaiser place, 80 acres, sold for $300, with 30 acres of cleared and a frame house. But little of the town is under cultivation, much being still forest. The first saw mill was in 1856, the “Brown” mill in the southeast corner of Section 6. There is now but one saw mill in operation, a water mill owned by Widow Jensen at the head of Silver Creek. There was a stream mill in the southeast of Section 25, belonging to F. H. Sturtevant, of Whitehall, and another on Section 29, operated by Dr. Kingsley. The township was organized in 1865, out of Dalton, and in 1870, Fruitland was formed of the same township. In 1873 this town by removals became almost disorganized and a new election for most of the offices was held on November 4, at Diedrich’s school house. Geo. Mudge the only Justice of the Peace had removed. Ophelia Parks, sister of Mrs. F. D. Glazier, of Whitehall, who died in 1878, was the first school teacher, in May, 1866, and the Block school house was the first school house. The first Sunday school was organized in April, 1866, in the house of Henry F. Parks. Robert Nesbet, farmer, born in Canada in 1845; after various removes came to Blue Lake in 1866, having been married the previous February. He has two children living, Eliza, and Robert Austin, and one dead. He served from 1863 to the close of the war as a volunteer. Francis Hiscutt, farmer, born in Monroe county, N. Y., Mar. 2, 1839, enlisted in Co. A 108th N. Y. Vols. in July, 1862, serving three years. 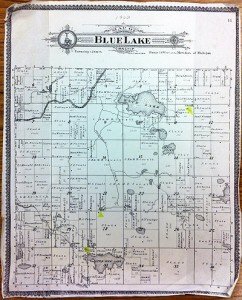 Came to Blue Lake in 1867, married in 1861 to Catherine A. Witbeck at Webster, N. Y., who died in 1870.